The Randolph Complex, also known as the Randolph Residences, is a cluster of dormitories located east of the Commons on the campus of William & Mary. The dorms within the complex are varied in terms of their internal structure and include both dorm-style and apartment-style housing. The Randolph Complex houses upperclassmen and include the language houses. The buildings in the complex are named for Virginia governors: Giles, Pleasants, Harrison, Page, Tazewell, Cabell, Nicholas, and Preston. The complex itself is named for the four Randolphs, all graduates of William & Mary, who served as governors of Virginia: Edmund Randolph (1753-1813), Beverly Randolph (1754-1797), Peyton Randolph (1779-1828), and Thomas Mann Randolph (1768-1828). 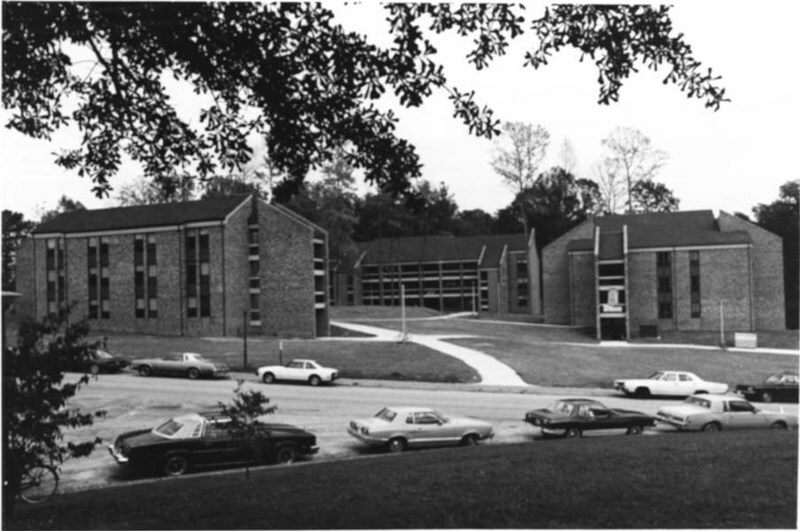 Construction of five of the buildings (four dormitories for housing 246 students and one building for activities) was completed in July 1980. 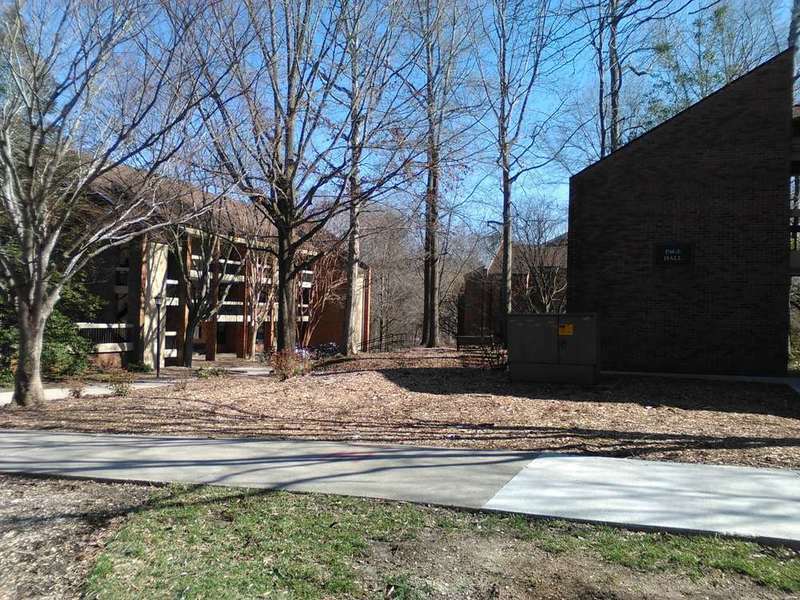 In the same year, five sorority court houses underwent renovation and the women previously living in those houses occupied Giles and Pleasants for the first semester of the 1980-1981 academic year. 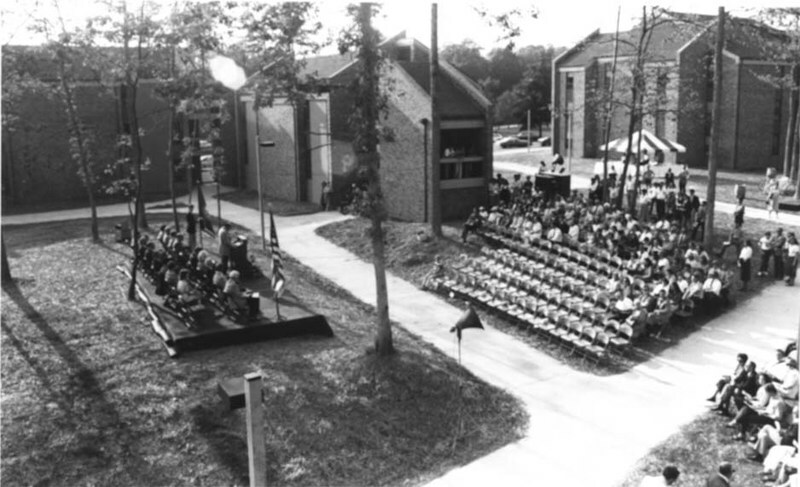 The dedication ceremony for the Randolph Complex was held on October 11, 1980 at Tazewell House on Parents' Weekend. 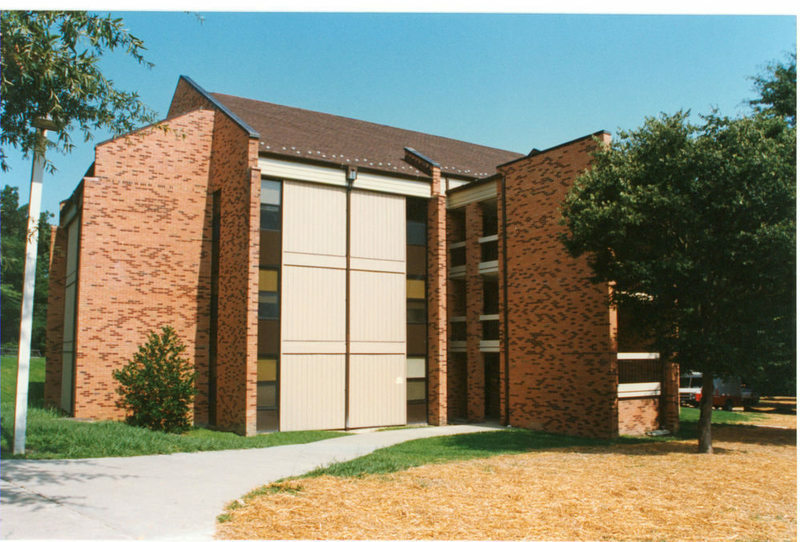 Two new dormitories, Nicholas and Preston, were built in 1988 to house 106 more students. In March 2005, an exhaust fan sparked a fire in Preston Hall and, as a result, some students began the next school year living at Colonial Williamsburg's Governor's Inn. Randolph Complex, 2015: A 2015 image featuring part of the Randolph Complex, taken from the center of the complex. ~ Source: University Archives Photograph Collection, UA 8. ~ Creator: College of William and Mary. Randolph Complex, 2015: A 2015 image featuring part of the Randolph Complex. ~ Source: University Archives Photograph Collection, UA 8. ~ Creator: College of William and Mary. Randolph Complex under construction, 1978: An image of the construction of the Randolph Complex in 1978. ~ Source: University Archives Photograph Collection, UA 8. ~ Creator: College of William and Mary. Randolph Dedication, 1980: A 1980 photograph of the Dedication Ceremony of the Randolph Residences. ~ Source: University Archives Photograph Collection, UA 8. ~ Creator: College of William and Mary. 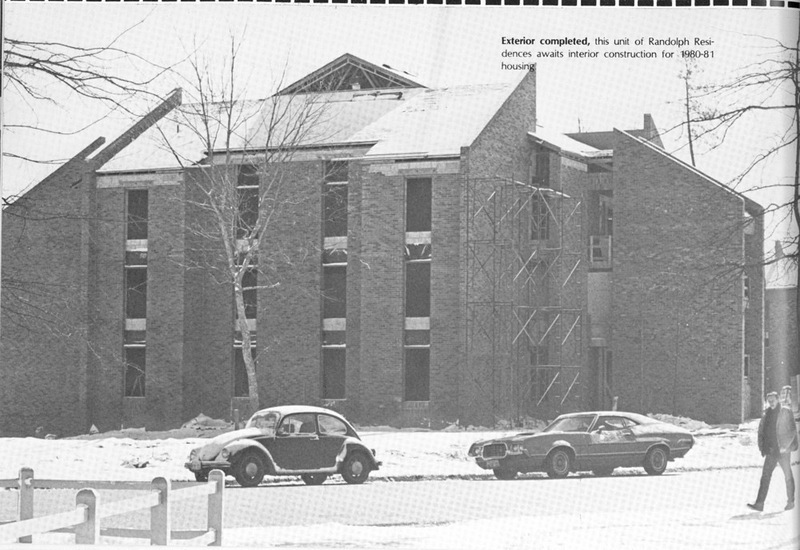 Randolph Complex, circa 1979-1980: An image of the Randolph Complex in snow from around 1979-1980. ~ Source: Colonial Echo, 1980. ~ Creator: College of William and Mary. Randolph Residence, undated: An undated image of the Randolph Residence from across the street. ~ Source: University Archives Photograph Collection, UA 8. ~ Creator: College of William and Mary. Randolph Complex, undated: An image of the Randolph Complex. ~ Source: University Archives Photograph Collection, UA 8. ~ Creator: College of William and Mary. 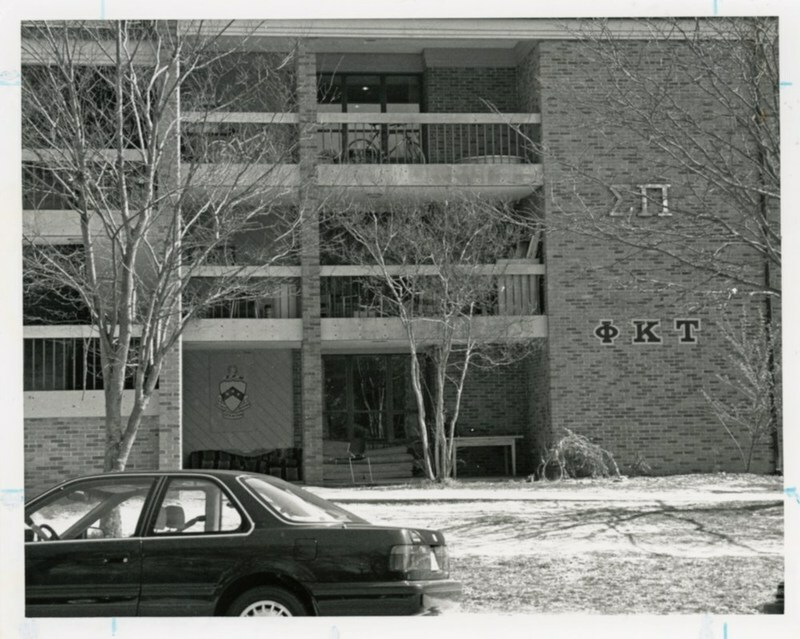 Pleasants Dormitory, March 1995: An image of dormitories housed in the Randolph Complex from March 16, 1995. ~ Source: University Archives Photograph Collection, UA 8. ~ Creator: College of William and Mary. 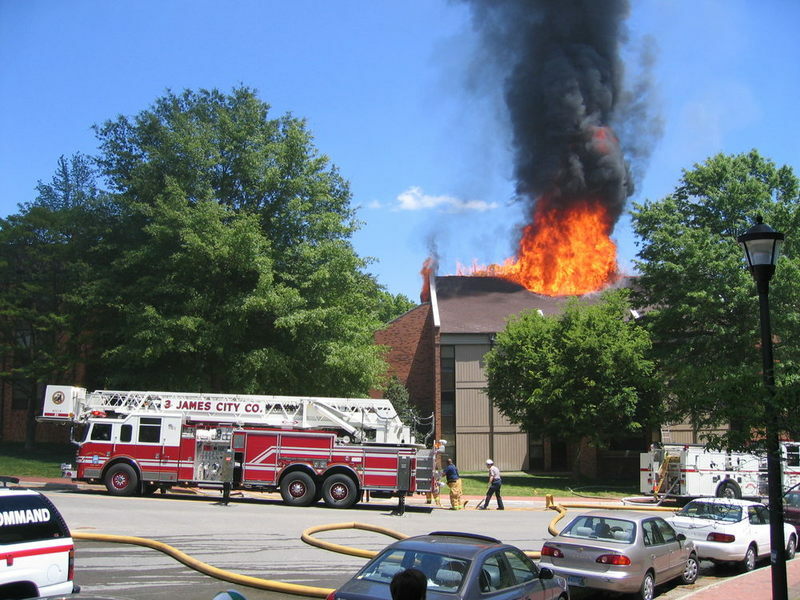 Preston Hall Fire, March 2005: Photograph showing the damage done to Preston Hall from a fire at the Randolph Complex. The photo was taken by Alex Haglund, class of 2008. ~ Source: University Archives Photograph Collection, UA 8. ~ Creator: College of William and Mary. 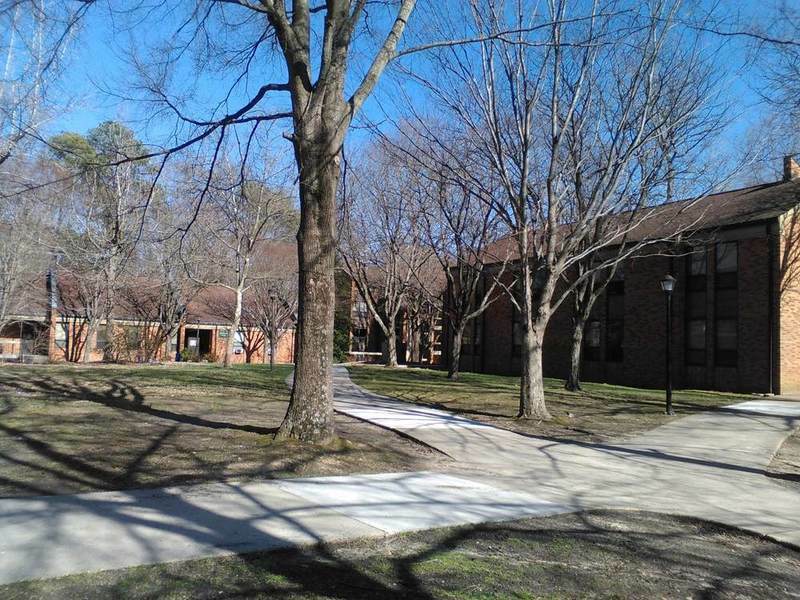 Special Collections Research Center, Swem Library, College of William and Mary., “Randolph Complex, Dedicated 1980,” TribeTrek, accessed April 26, 2019, https://tribetrek.wm.edu/items/show/69.